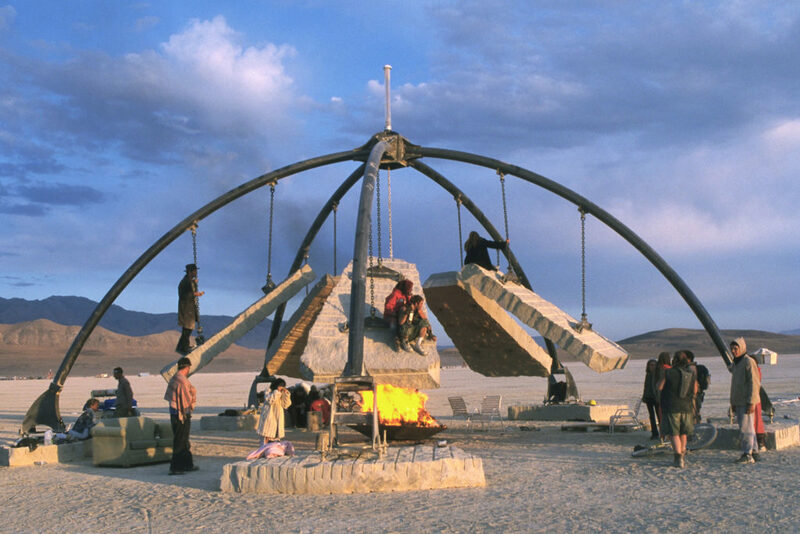 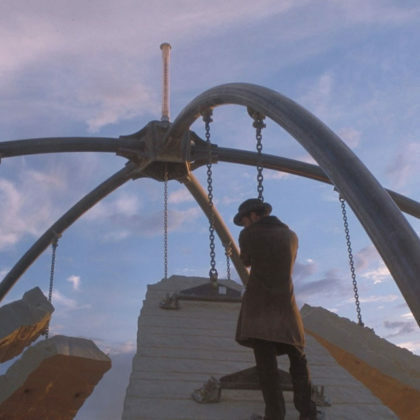 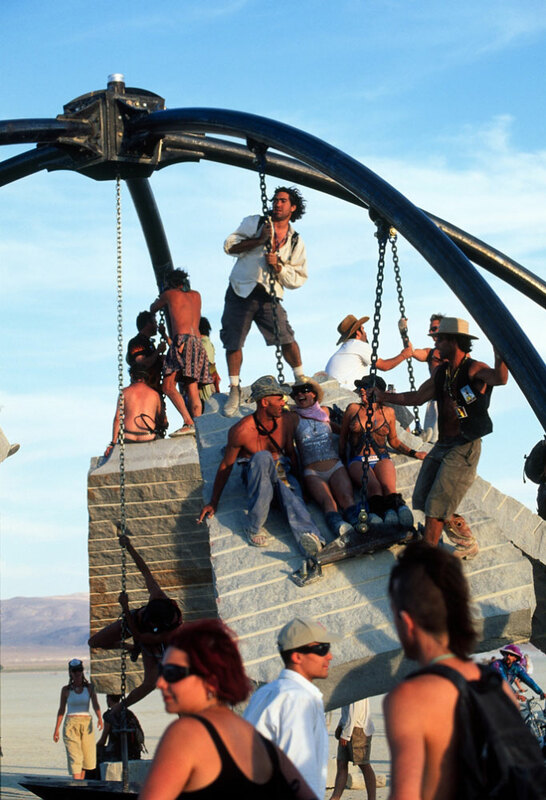 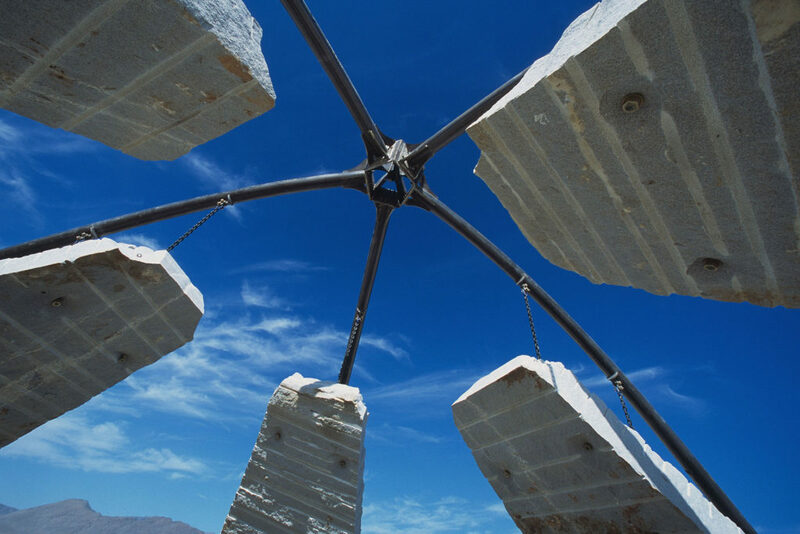 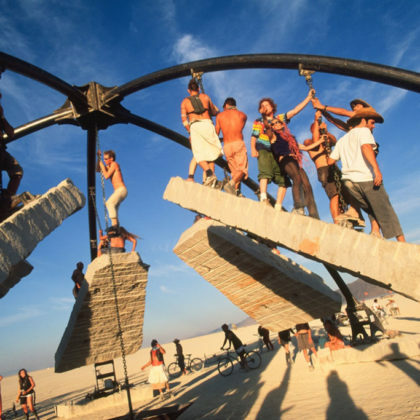 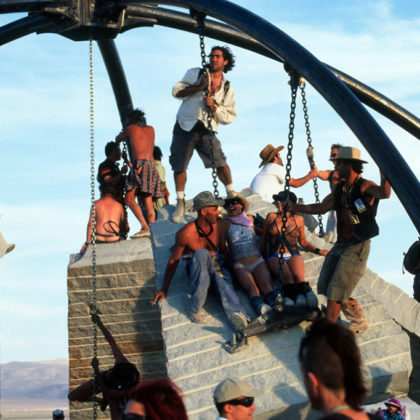 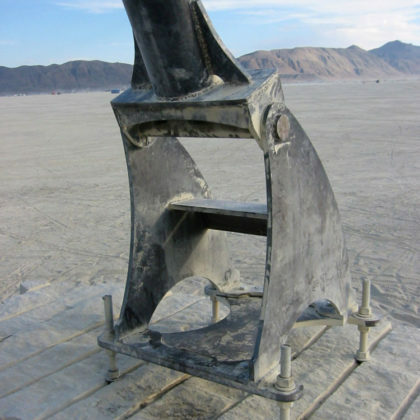 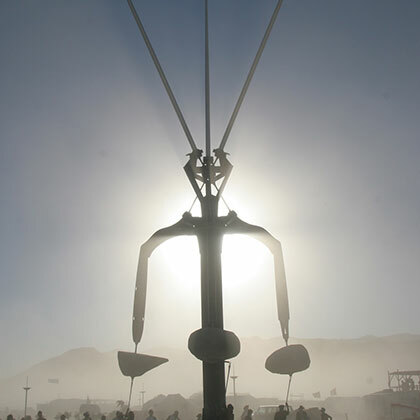 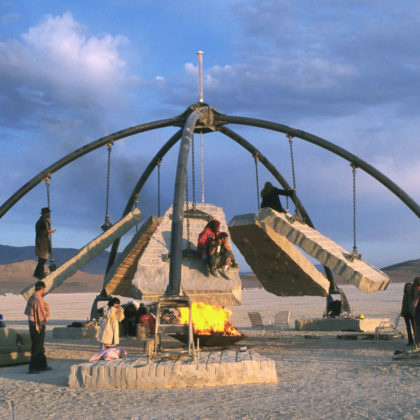 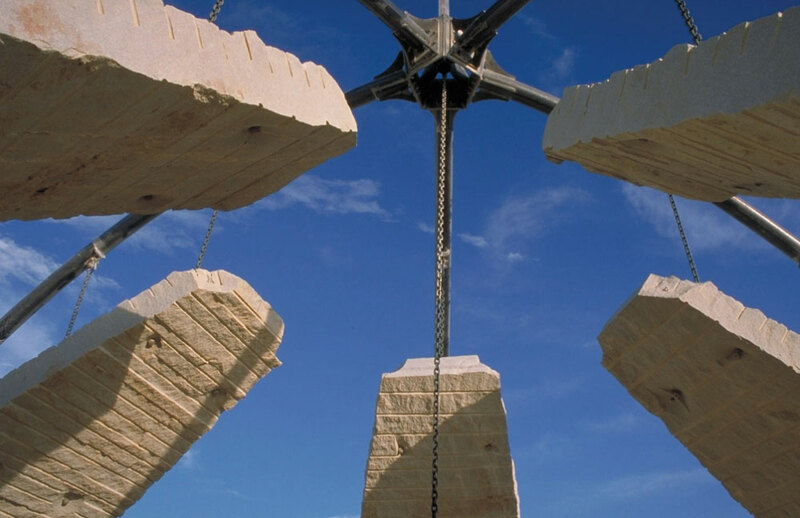 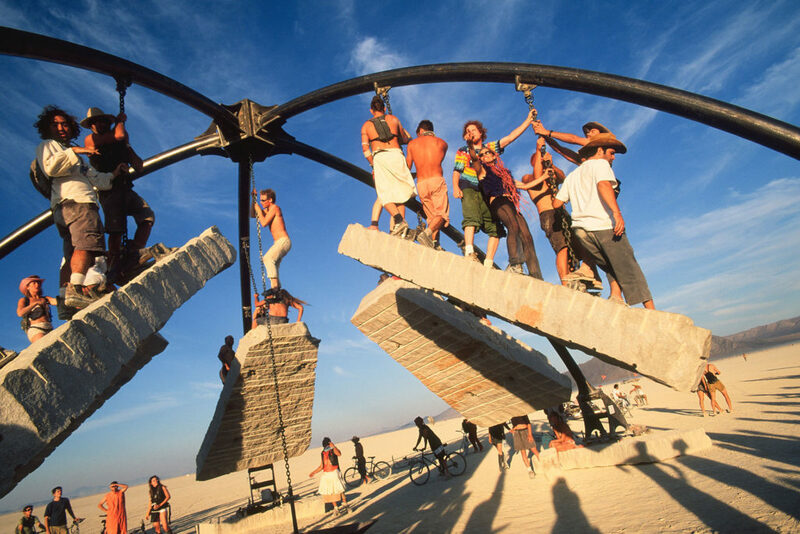 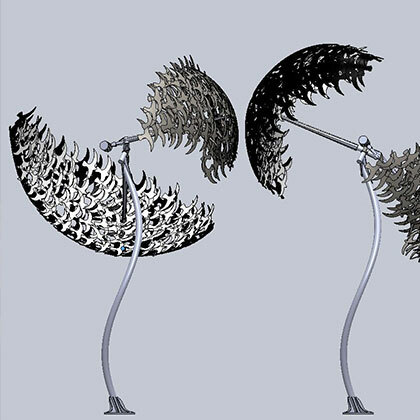 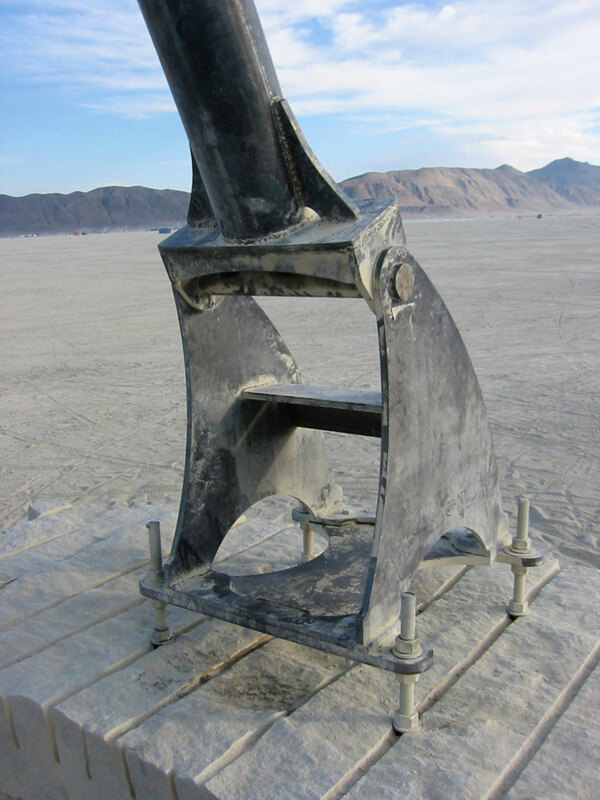 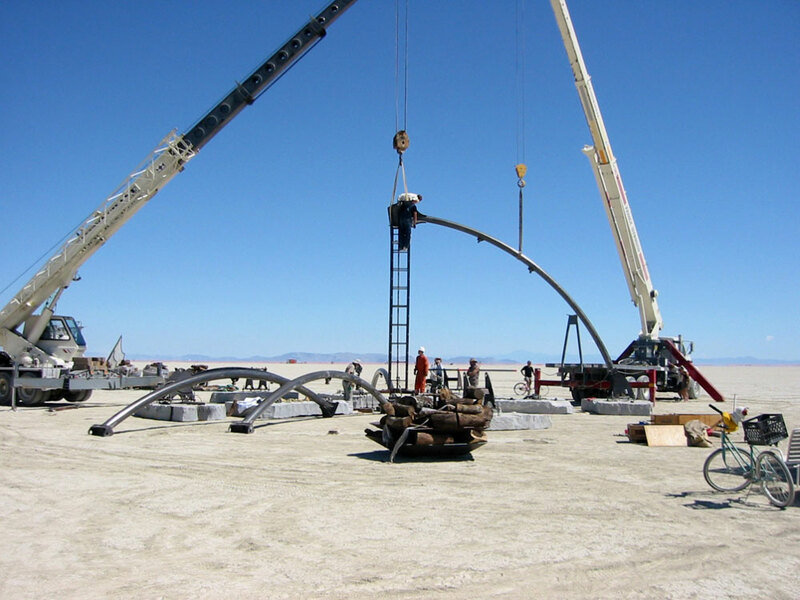 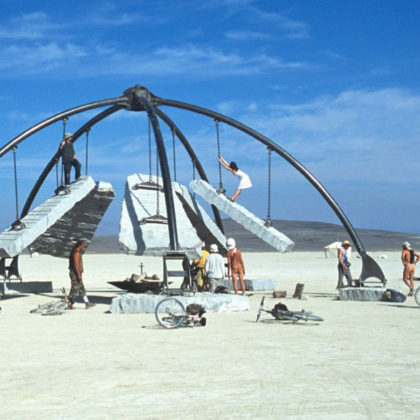 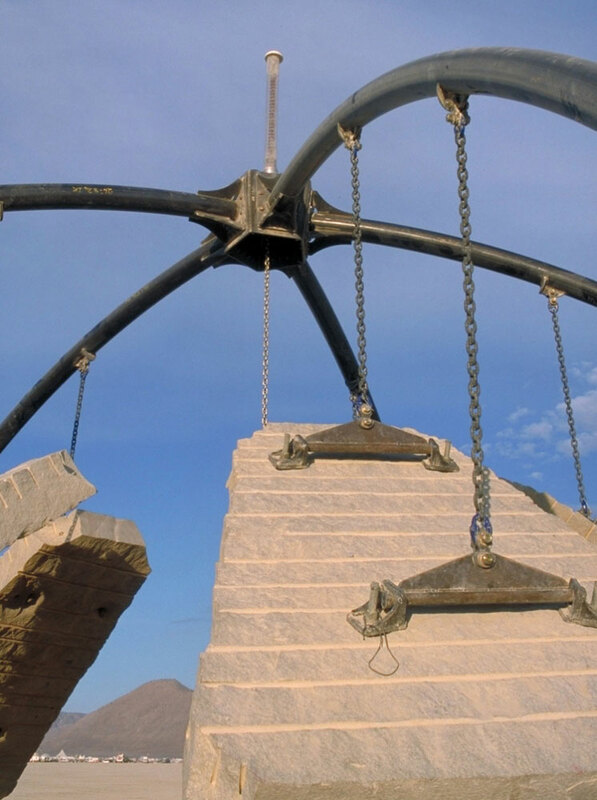 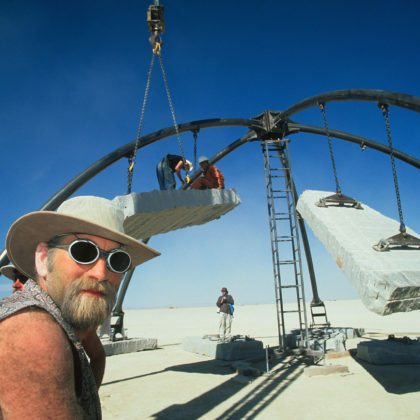 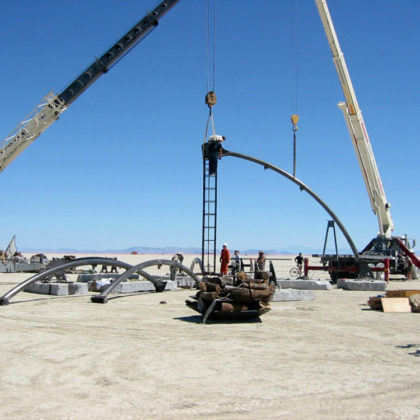 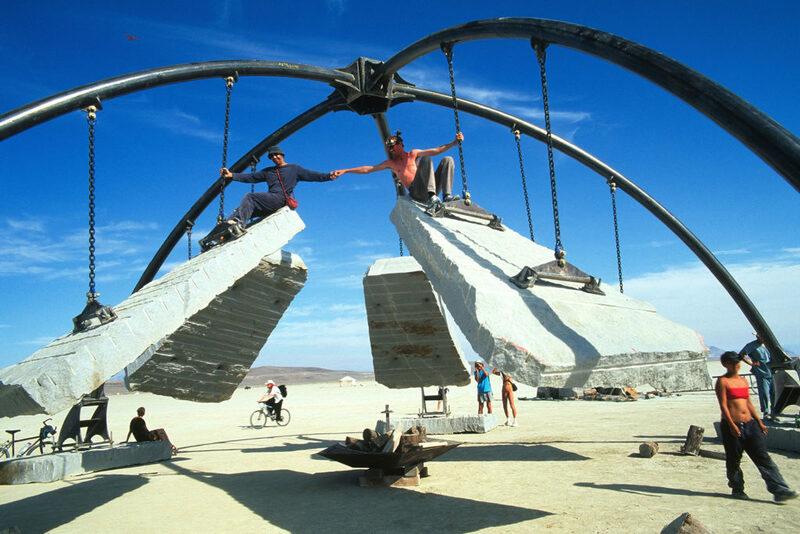 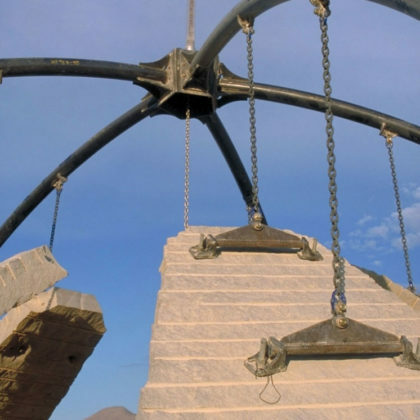 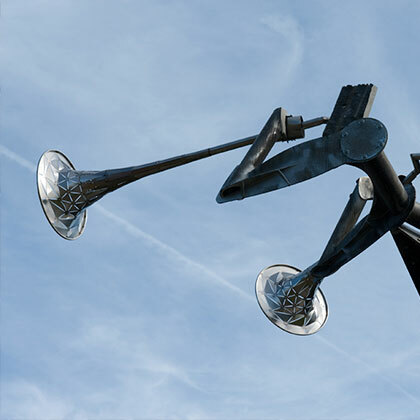 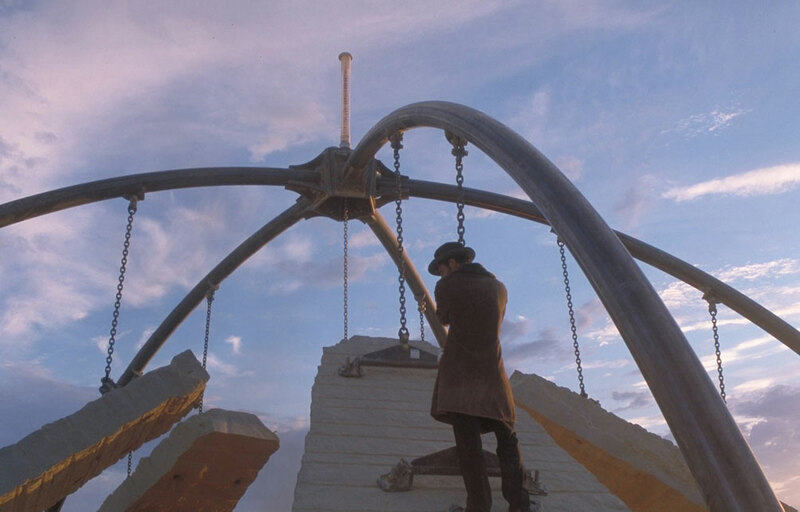 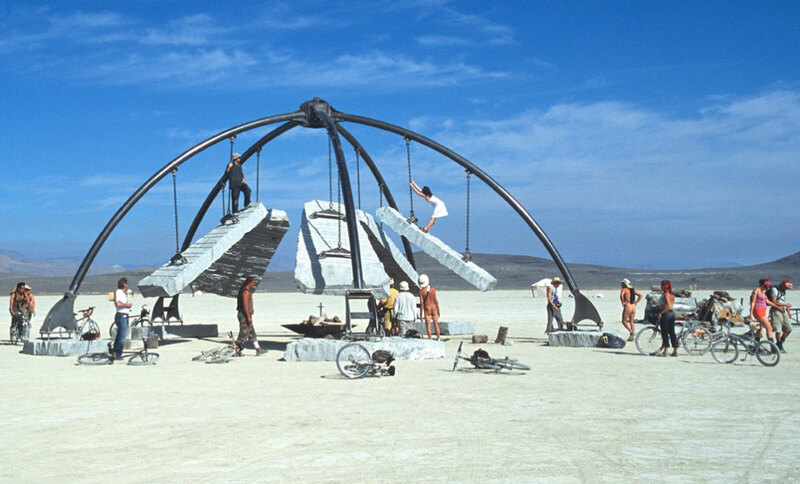 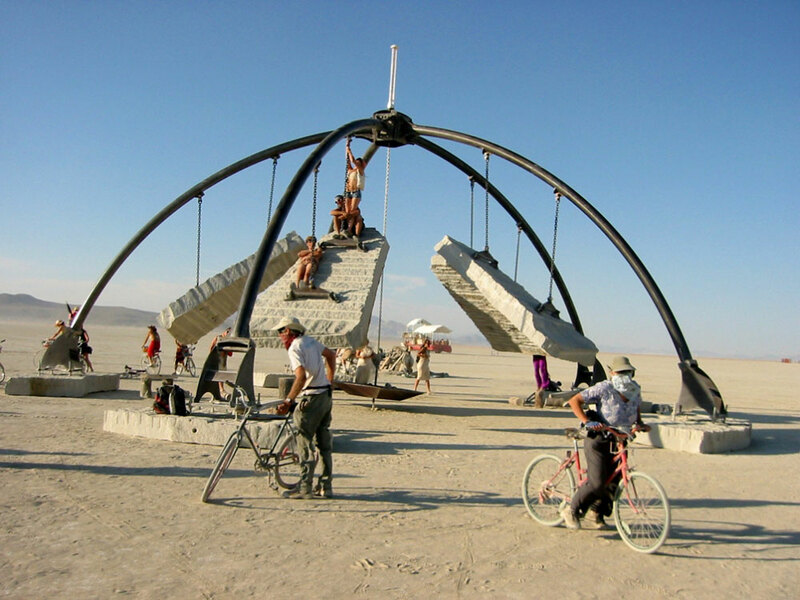 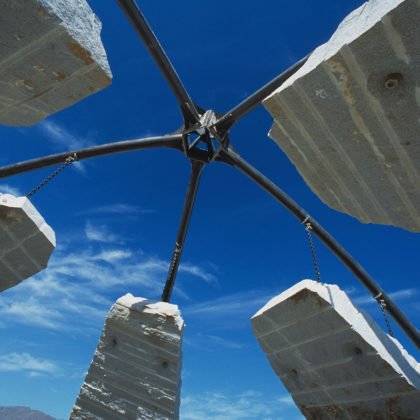 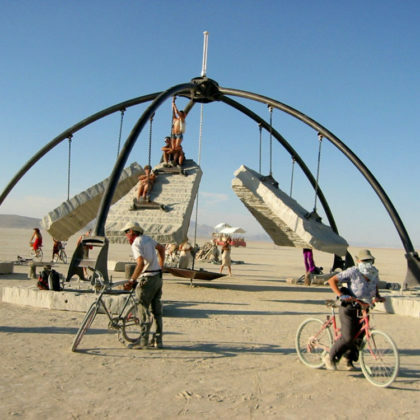 The Temple of Gravity was installed at Burning Man 2003. 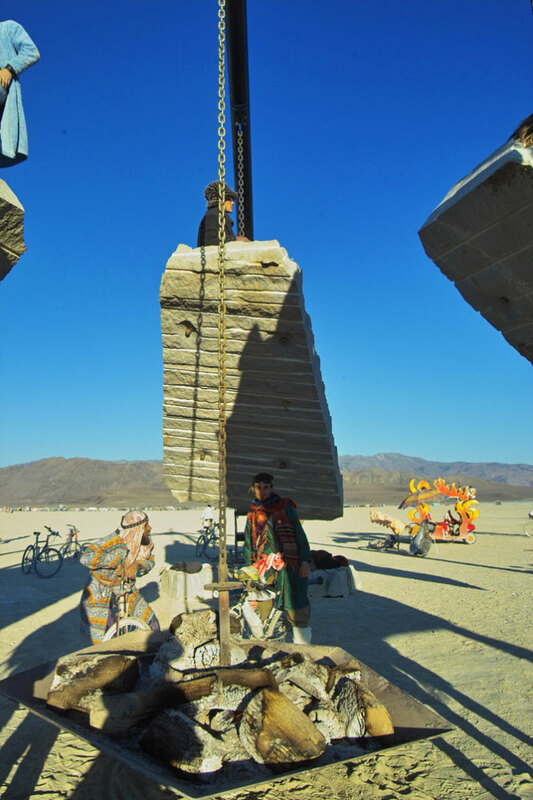 The work weighs maybe 180,000 lbs total. 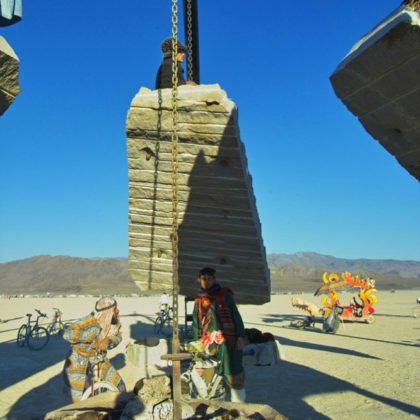 Yes, those are real slabs of stone. 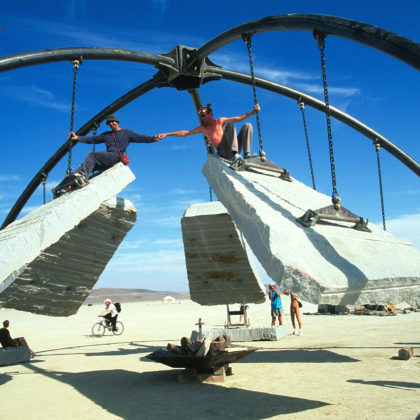 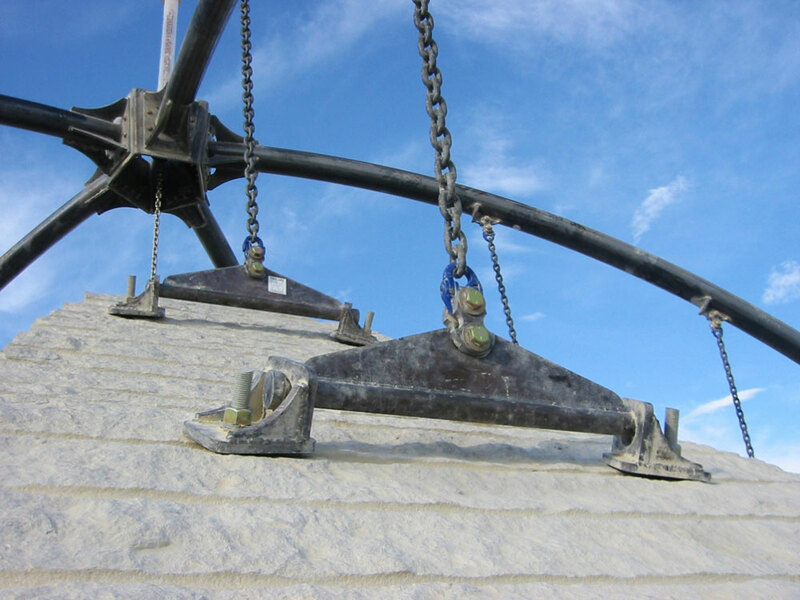 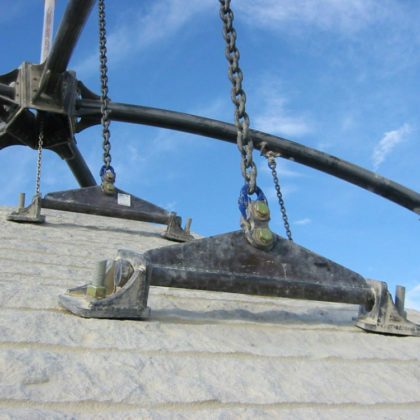 And, yes you can stand underneath 17,000 lbs swinging from two apparently insubstantial chains. 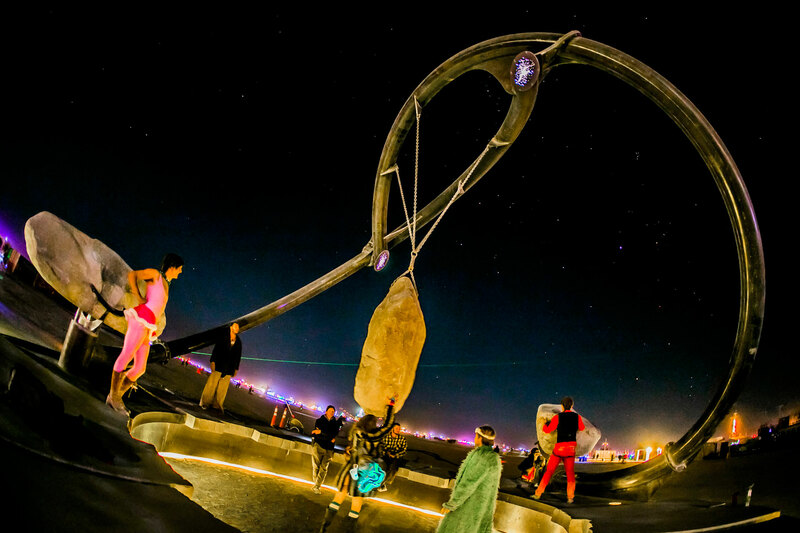 Here are some videos of the work at night. 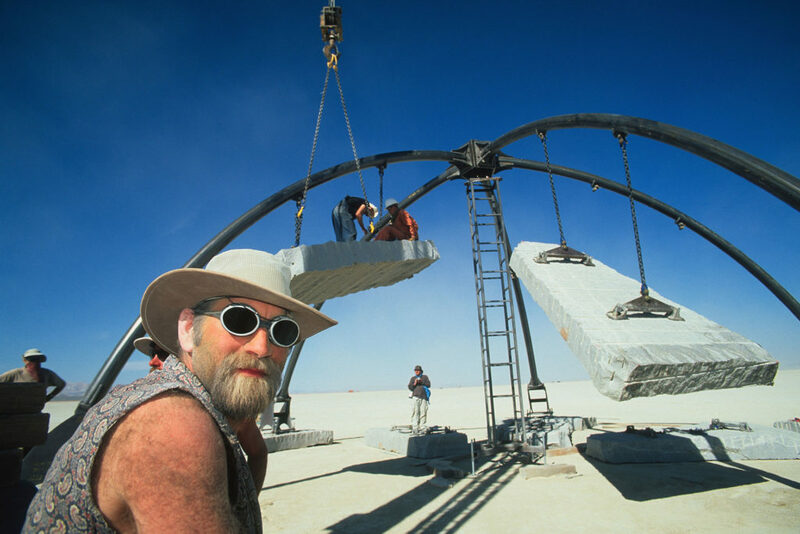 Sorry for the randomness and playa on the tape head.